String Light is a lamp of a different kind. 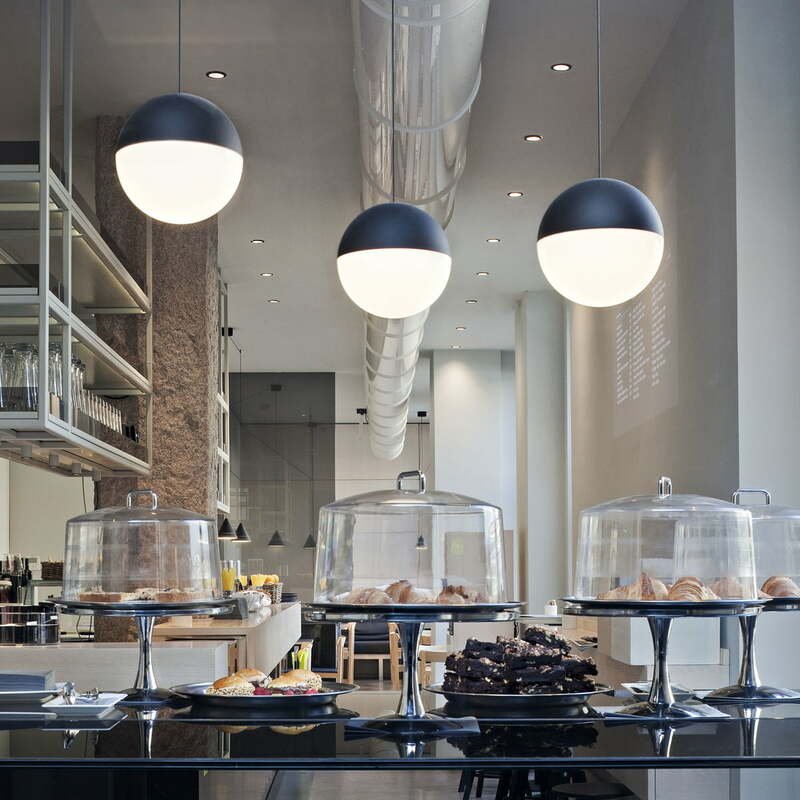 The extra-long cable and the innovative concept of the pendant lamp with a spherical head from Flos makes possible architectonic and new types of light solutions for private and public rooms. 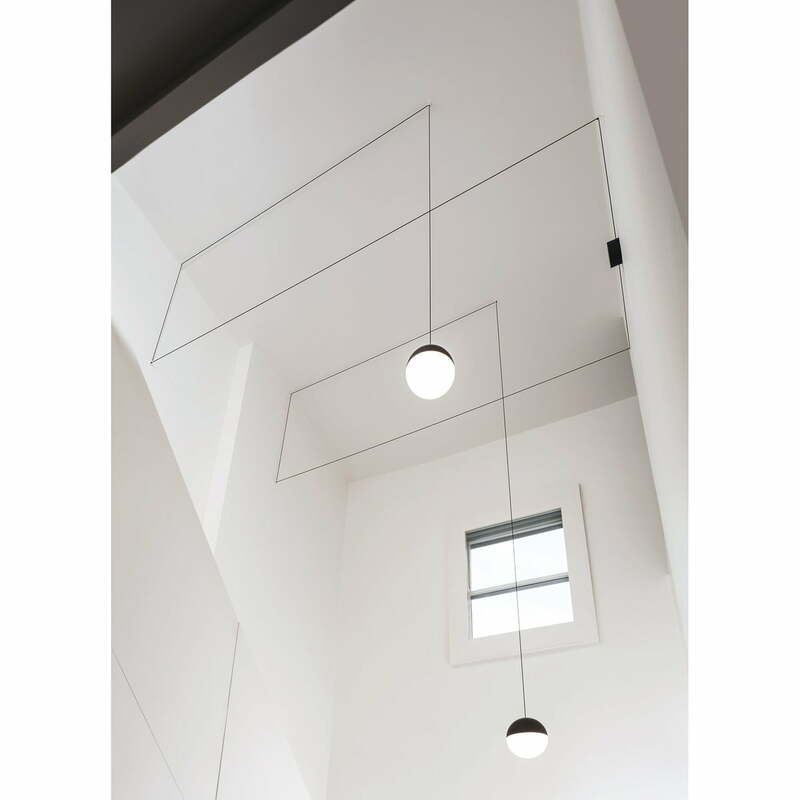 The designer Michael Anastassiades says that he was inspired by three things when he designed the Flos String Light: “When I sit in the train and travel I always see these power lines which connect the pylons through the window. And while we race on at high speed I see these completely parallel lines and am entranced by this incredible discipline - how is that possible? It is simply wonderful how they connect the pylons and divide the landscape so equally. I wanted to transfer this vision into an interior environment. I like how people use light to create borders for spaces, especially in the open air. You only need to think of a Mediterranean village square at night. The people there have fairy lights hanging in a square of four poles. It is as if they want to announce: ‘The party is here’ It’s the lights which mark off the borders of the activity. 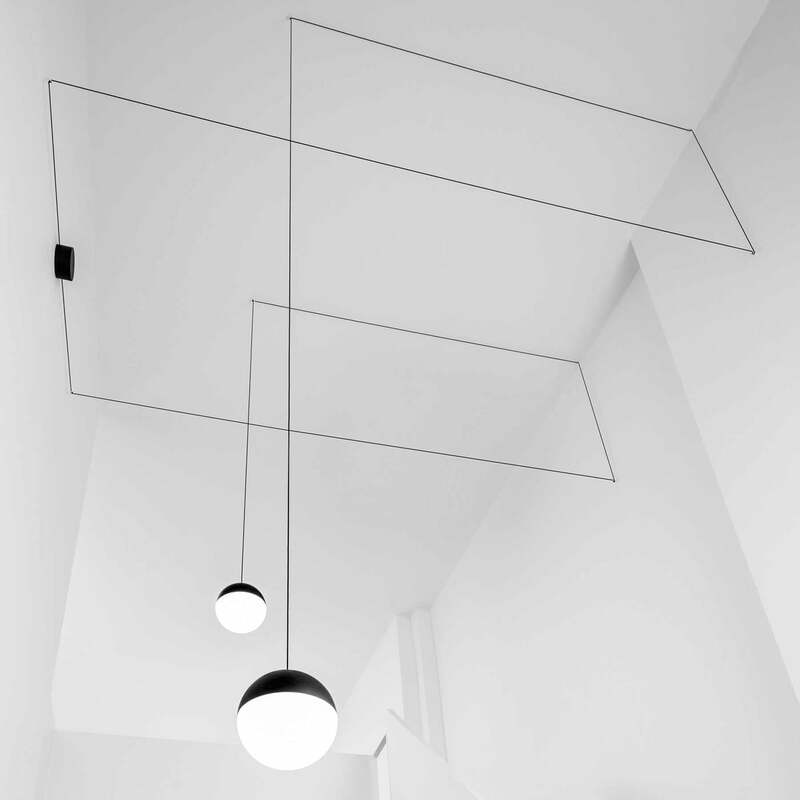 The Flos String Light is equipped with a 12 metre cable , enabling you to draw geometric patterns in space. Rooms have new architectonic dimensions. If necessary, the cables can be re-organised in order to create a new atmosphere in the room; patterns from clear linearity up to abstract art are possible. 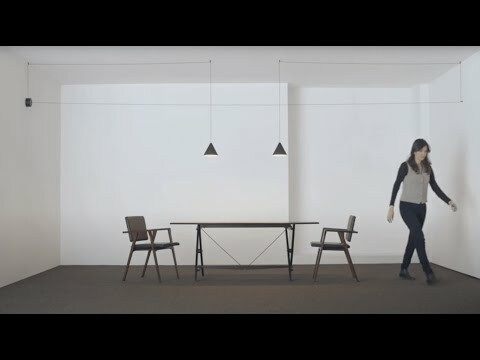 Last but not least, the new concept of the Flos String light is very practical: Hanging the lamp is possible independent of existing connections. If necessary, the impression made by the lamp can be completely re-designed and the light used totally differently. The Flos String Light with the spherical head has some technical benefits as well: The diffuse light can be switched on and off by means of a Touch Sensor in the lamp’s head and it is also continuously dimmable. The energy saving LED bulb creates a 2700 K warm white light for a pleasant ambience. The String Light combination possibilities are nearly endless because of the comprehensive accessories. A lot of examples and suggestions for different installations are also included in delivery, including some empty pattern templates to draw your personal configuration in. The aluminium die-cast lamp coaxial cable is reinforced with Kevlar. The geometrical lamp from Flos is also available as the String Light cone head with cone-shaped lights. Both editions are also available with a 22 metre cable on request. The winner of the Homes & Gardens Designer Awards 2015. Wall mounting kit with 5 mounting points. Additional connection cable to arrange individual configurations. Booklet with numerous inspirations and examples of hanging. Optional accessories: Floor switch for the installation of maximum 2 heads with 2 possible cable exits. Inner storage with room for 10 ms. cable. 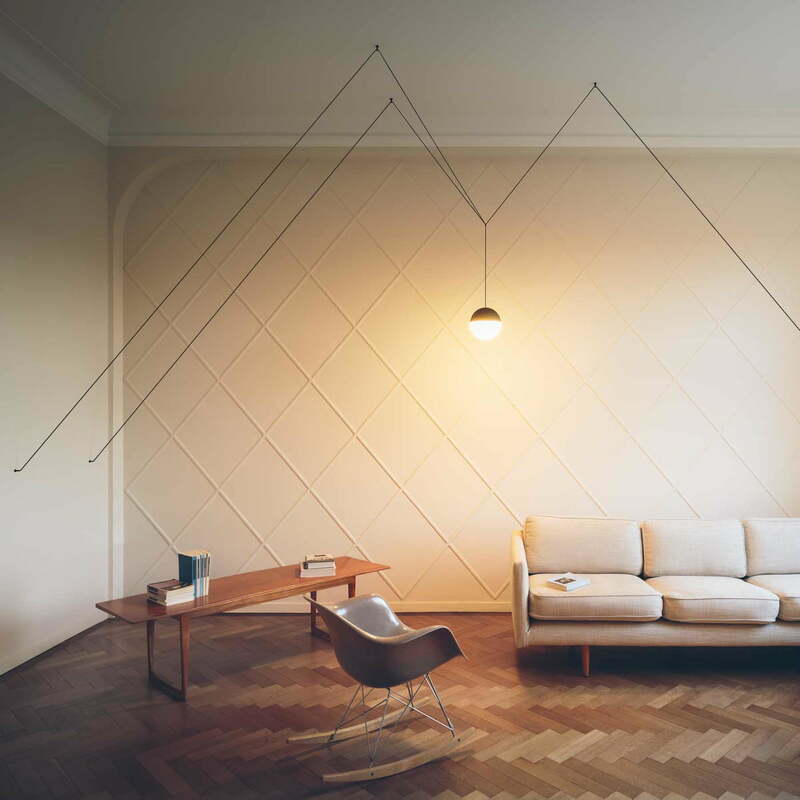 This is one example of how to install the String lights by Flos. But there are no limits to your creativity. The long cable offers a lot of different options for your personal solution.